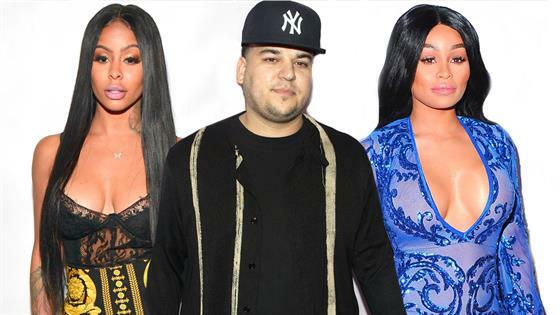 Alexis Skyy is making her admiration for Rob Kardashianknown on social media. The Love & Hip-Hop star used the L-word on Friday while responding to Blac Chyna's rumored boyfriend, who questioned her relationship with the 31-year-old reality TV personality. When rapper Kid Buu commented on her Instagram post asking if she was dating Rob "for love" or "just for clout," Alexis made her intentions very clear. "To answer your question," Skyy responded in part, "I love Rob." As it stands, Kardashian has not weighed in on Skyy's latest comments. When the pair were first linked publicly earlier this week, Rob shot down one internet troll's claim that he was attempting to make his ex jealous by declaring Skyy his "Woman Crush Wednesday." "Me and Alexis known each other for 5 years so stop with that," the Keeping Up With the Kardashians star tweeted. One day later, Rob would invite Alexis over for a home-cooked meal. In videos shared to both of their social media accounts on Monday, the pair documented their evening spent eating a gourmet dinner prepared by Alexis herself. Rob's rumored relationship aside, his famous sisters shared an update on their little brother during a recent appearance on Bravo's Watch What Happens Live. Khloe Kardashiantold Andy Cohen Rob is "doing great," while Kim Kardashian revealed fans of KUWTK may get to see a bit more of the private celeb in upcoming episodes of the hit reality TV show. "I think he is going to be a little bit more in the next season," she said. "He has his moods. Sometimes he's like, ‘Look, I didn't sign up for this,' and then sometimes he's like, ‘I'm cool to do it.'"